What a heady power for a judge to hold the fate of terminally ill infant in his hands! If he wishes, this black robed figure may act as a state-sanctioned, de facto Grim Reaper. Should a British barrister—not a doctor, not the child's parents—be the ultimate arbiter of life or death for an innocent? At issue is the welfare of 11-month-old Charlie Gard, born on August 4, 2016. Beyond being deaf, blind and severely epileptic, he's so infirm he cannot breathe without the assistance of a ventilator. Charlie's debilitating genetic condition is so rare there are only 16 reported cases worldwide. His malady—a RRM2B mutation of Mitochondrial DNA Depletion Syndrome (MDDS)—saps the vital organs of energy, causing progressive muscle weakness, loss of motor skills and brain damage. Hence, any further treatment is experimental; and only available in the United States with emergency FDA approval. Ironically, the therapy for Charlie would be a simple oral medication. While not reversing any brain damage, it could help to manage Charlie’s symptoms and increase his life expectancy. Medically speaking, the treatment is a long shot, as acknowledged by Charlie’s mother Connie Yates, 31. She pleaded with the judge, “Ten percent. You would if it was your son, wouldn’t you?" Well, precisely. Complicating matters is the fact that the medicine, beneficial to other children less afflicted, has never been tried on a patient as ill as Charlie. Essentially, British socialized medicine is currently “treating” Charlie like a prisoner. They want him to “die with dignity” and refuse to release him to his parent's care. This tragedy has become a political firestorm reaching around the globe. In America, President Trump and members of Congress have weighed in. 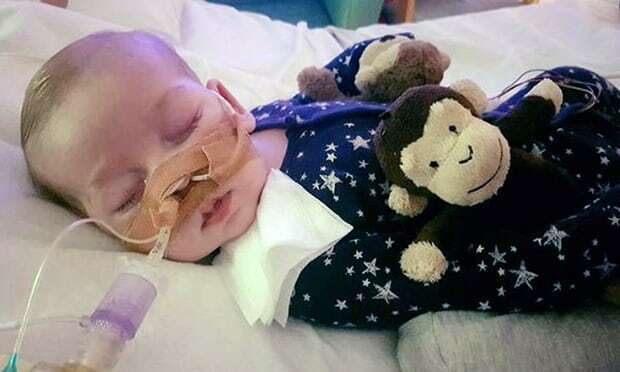 Specifically, Brad Wenstrup (R-OH) and Trent Franks (R-AZ) are planning special legislation to make Charlie Gard a lawful permanent resident of the United States. All in the hope to increase Charlie's chances to receive treatment stateside. Likewise, Pope Francis has offered a Vatican passport, and access to the Vatican hospital. Before any of that can potentially happen, Judge Nicholas Francis must make his final determination. Reportedly, that will happen by July 25. His current position (read: 'the state's') bars travel, and authorizes London's Great Ormond Street Hospital (GOSH) to remove Charlie from life support. Justice Francis previously said, “Although the parents have parental responsibility, overriding control is vested in the court exercising its independent and objective judgment in the child’s best interests.” In my view, that's an impossible standard to meet; especially under these heart-wrenching circumstances! Therefore, only informed medical opinions will be offered—in other words, educated assumptions—nothing more. 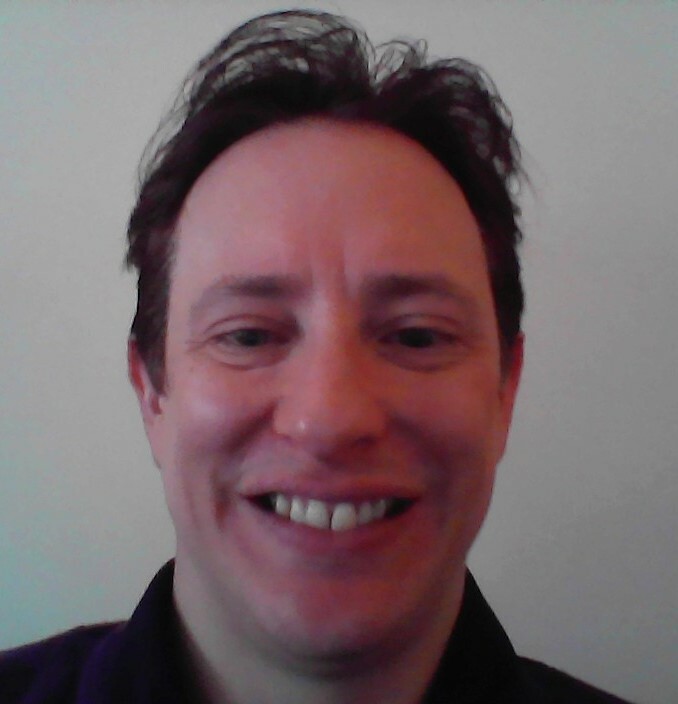 What an ego-trip for this judge to play God like Martin Vail! What of the age-old natural right of any parent to preserve the life of an offspring? Should that biological impulse be superseded by the flawed human perception of one wigged stranger in High Court silks? Perhaps the miracle will take the form of Dr. Michio Hirano, a neurologist at New York's Columbia University Medical Center. He will consult with Charlie's doctors in London on Monday. In the interim, Hirano told the judge that an MRI scan of the baby's brain did not necessarily indicate structural damage. Per CNN, he stated there was an “11% to 56% chance of clinically meaningful improvement” in muscular function with the new therapy. Furthermore, this expert stated that keeping Charlie on a ventilator would not contribute to his problems because he did not appear to be in any significant discomfort. Only three months of treatment at Columbia University will determine whether Charlie is improving. Thus, the old adage: “While there's life, there's hope.” Certainly, dealing with such grief and adverse circumstances is enough for any parent without the additional stresses of an intransigent hospital—and an ongoing legal battle. Even if those hurtles are overcome, Charlie's father, Chris, 32, is realistic about the equally daunting future medical challenge. He said, “If there is no improvement we will let him go. We just want to give him a chance.” Just the basic freedom to decide what’s best for their own child. As the bill-sponsoring U.S. Congressmen said in a joint statement, “Should this little boy to be ordered to die—because a third party, overriding the wishes of his parents, believes it can conclusively determine that immediate death is what is best for him?” Hence a universal lesson is gleaned: government-run, nanny-state medicine fails compared to the patient-centered variety. That's because the state imposes itself where it has no business being. Matters of mortality should remain with individuals and their families—not judges, bureaucrats and politicians. Witness the danger of all-powerful governing bodies! The European Court of Human Rights (ECHR) refused to intervene, and the British courts have previously sided against Charlie's parents. Politically, aren't these imperial powers equivalent to the autonomous attorneys populating the 115th U.S. Congress (read: 167 members of the House (37.8 percent) and 55 Senators (55 percent))? Once again, lawyers—not doctors (only 14 physicians in Congress: 11 in the House, 3 in the Senate)—are determining a gerrymandered replacement for ObamaCare. Like mute and helpless Charlie, our health-care system hangs precariously in the balance. For better or worse, its destiny is also in the wrong hands of the powerful and the political. Our best solution, like Charlie's, is a long shot. Congress should return our society to free market, privatized medicine. The kind that existed pre-Obama: before progressives used government to seize control of 1/6 of the economy. That liberation of doctors and patients might save patients like Charlie Gard—and perhaps the rest of us as well. A gamble best left to those directly involved, rather than the state and its autocratic representatives.